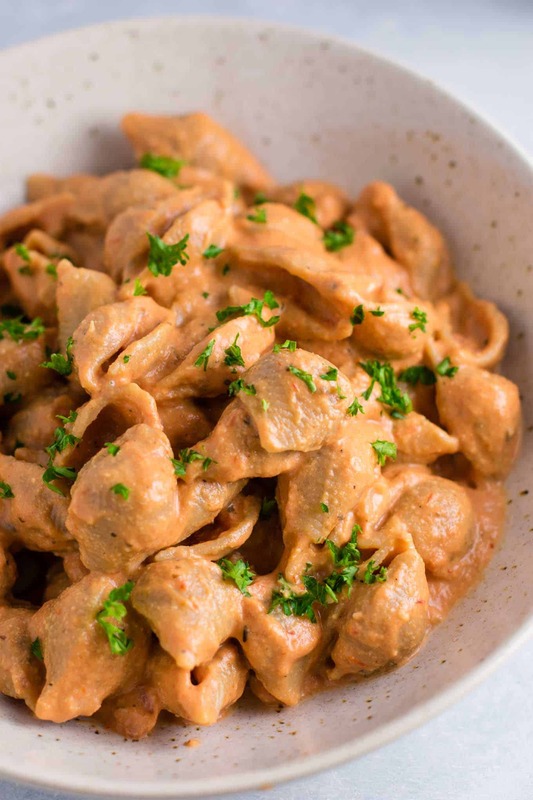 Creamy tomato shells, oh how I love you. Today I’m making a homemade (super duper easy) recipe for a vegan dairy free rose sauce. 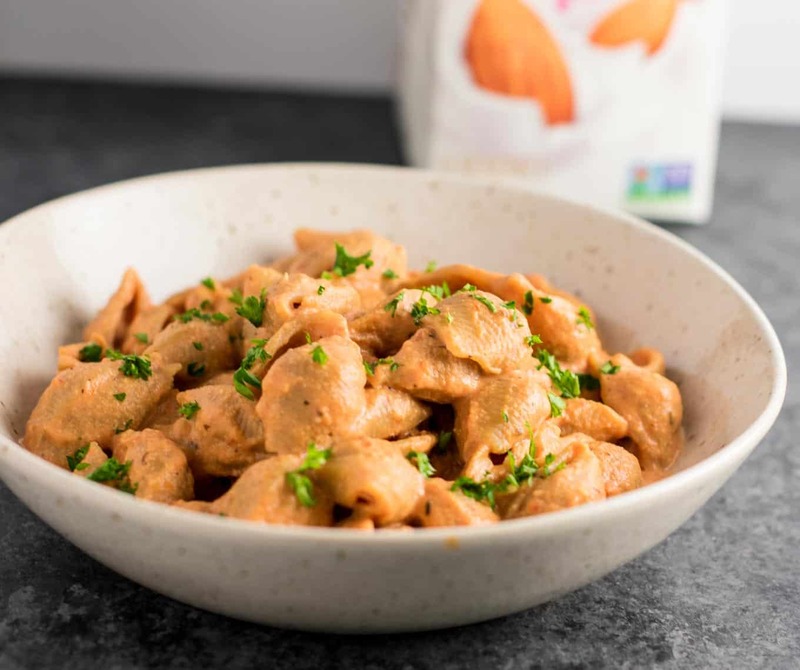 Pour it over whole wheat pasta shells and you have a super creamy protein packed delicious vegan pasta recipe. 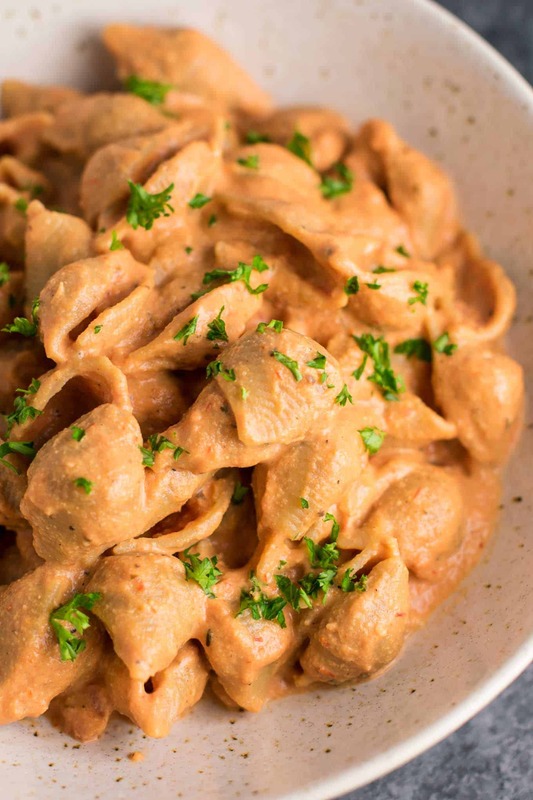 All you need is a few simple vegan ingredients to make a dairy free cream sauce. Many vegan sauces use raw cashews as a base, but that requires soaking them first. For this recipe, I opted to use roasted salted cashews which can be blended up immediately! You can make this easy sauce in no time at all. 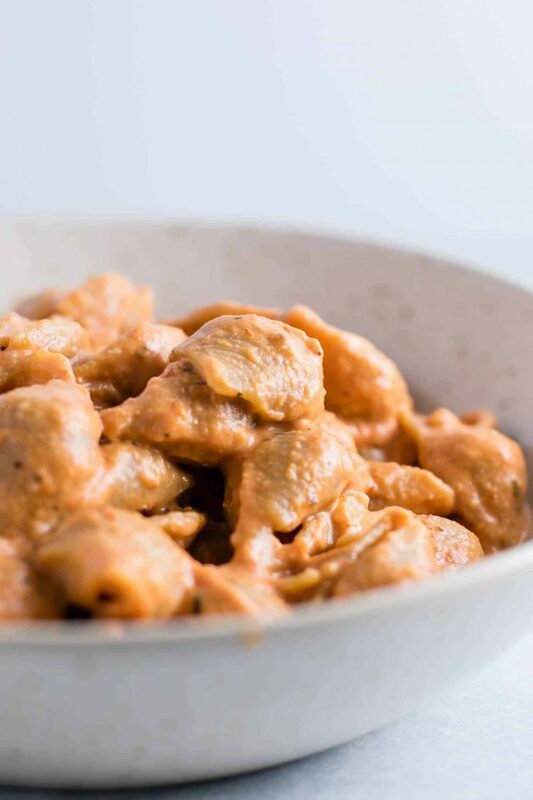 These creamy tomato shells are ultra indulgent tasting, and completely dairy free. We were so full from the protein in the sauce and pasta. This recipe goes a long way! Is your New Years Resolution to eat more plant based meals? I got you covered. If you’re new to plant based eating, it can be intimidating at first. But easy recipes like this one are guaranteed to not only please your palate but encourage you to find more ways to eat plant based! My husband and I have both vowed to eat healthier this year, and Silk helps us keep up our goal of eating more plant based meals. 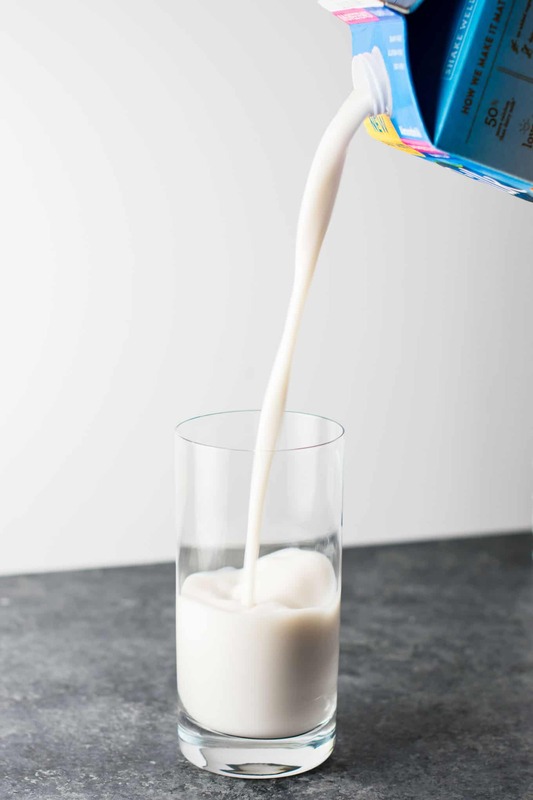 Silk is both dairy free and lactose free. For me personally, using Silk products help me enjoy the creamy delicious taste that I like without the use of dairy products. 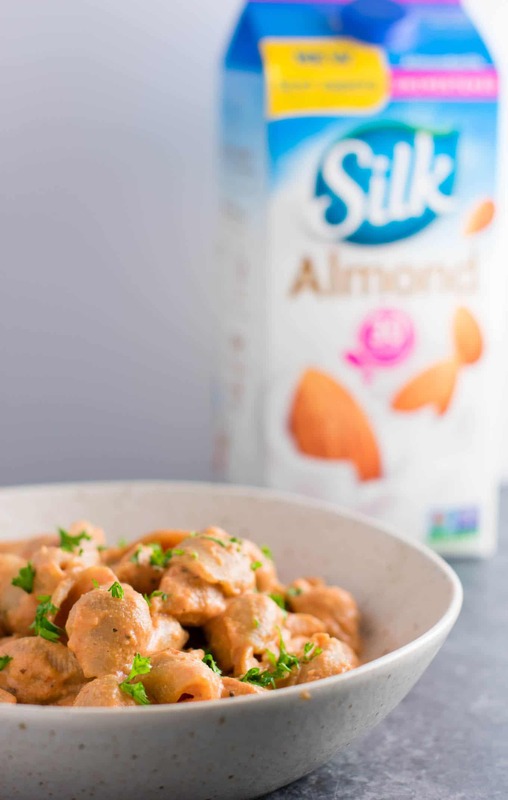 For this recipe, I used Silk Original almondmilk for the rosy cream sauce. 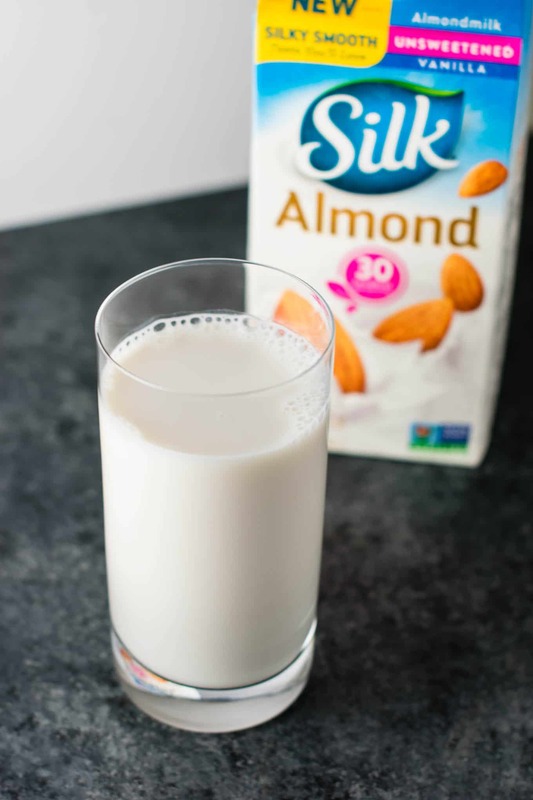 Did you know that Silk almondmilk has 50% more calcium than real milk?! We bought ours at our local Walmart, they have a great selection of Silk products. We go to walmart every week, so it’s easy to just grab any Silk that we are out of. I was honestly surprised at just how incredibly creamy this recipe turned out. 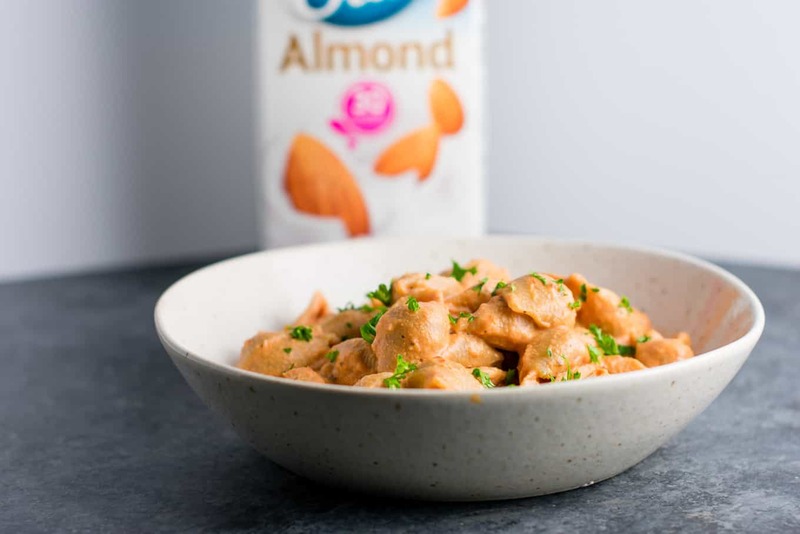 I blended up roasted cashews with Silk almondmilk and the result was an ultra creamy velvety smooth sauce. Since then, I have gone on to use roasted cashews to make insane vegan saucy recipes like my vegan breakfast burritos and my vegan quesadillas. We served ours garnished with fresh chopped parsley for a little extra flavor. This would also be great sprinkled with a little vegan parmesan! This recipe will make enough to serve 4 – 5 people as a main dish. It makes a ton and the leftovers are delicious! 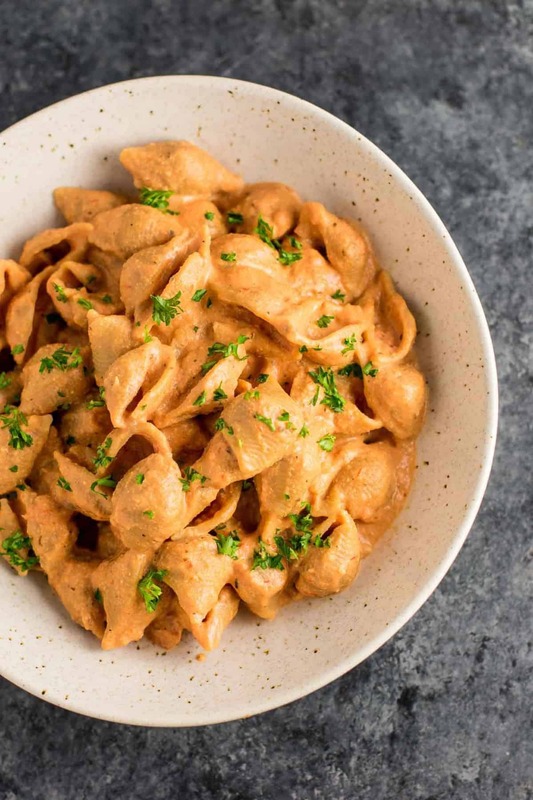 There’s nothing like a big bowl of comfort food and these creamy vegan shells are it. So wholesome, comforting, and tastes like you are eating something super decadent! I have been a Silk drinker for YEARS. I have never cared for dairy milk, so Silk is perfect for me. You can see just how creamy their products are! 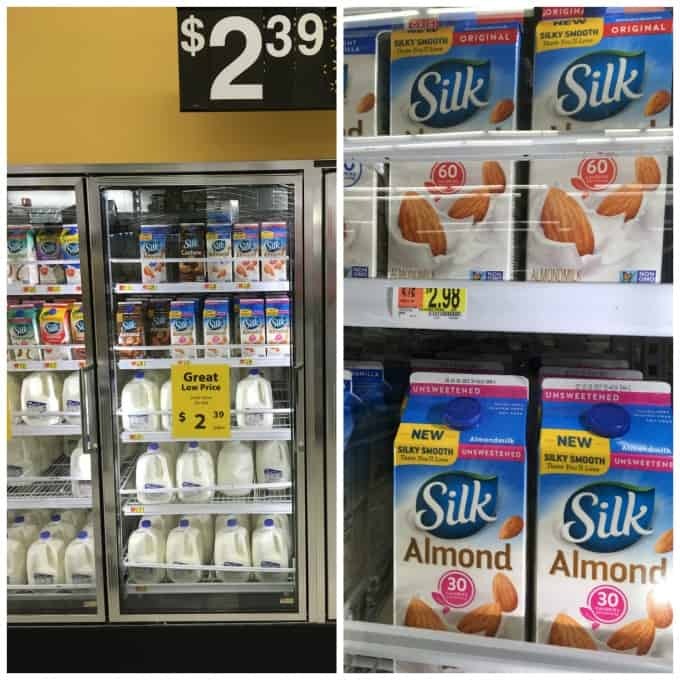 If you are completely plant based, or just looking to cut some dairy out of your diet this year, I wholly recommend trying Silk! For more delicious plant based recipes, visit Silk here!